You show up to the wedding shower, bachelor party, or chic sioree with a little something special. We're not talking about the bottle of bubbly in your hand, though we all agree that is also pretty cool. 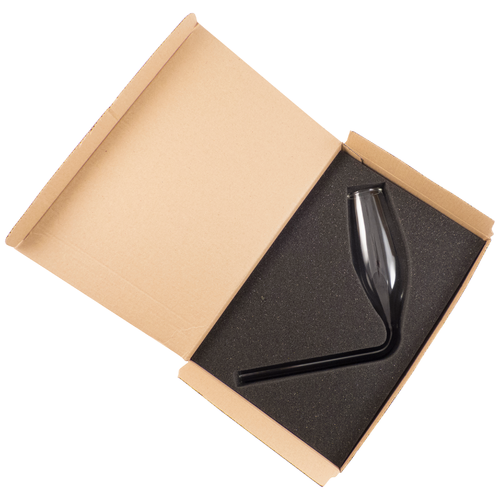 What you're packing is a special glass apparatus that allows for rapid & enhanced consumption of Champagne. This is a party starter, a smile maker, a "WTF is that thing?". 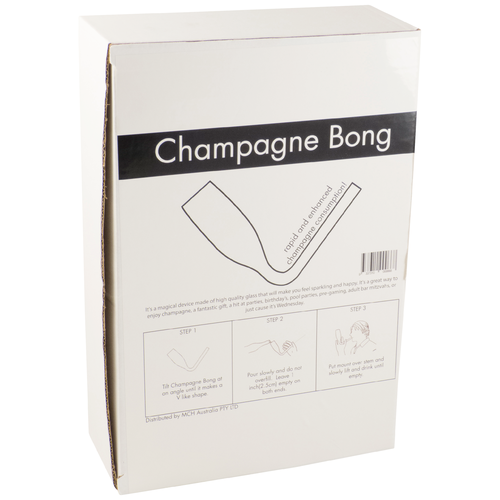 As you slowly open the box you explain, "This is a Bong;" pausing, drawing out the word... "bong". Your friends are uncertain as the combination of curiosity and a slight tinge of fear cause a tiny bit of adrenaline to be released. They have partied with you before and now have no idea which way this party is going. Their eyes dart back and forth between the bottle of sparkling wine and the glass apparatus while they process that you just said "Bong". 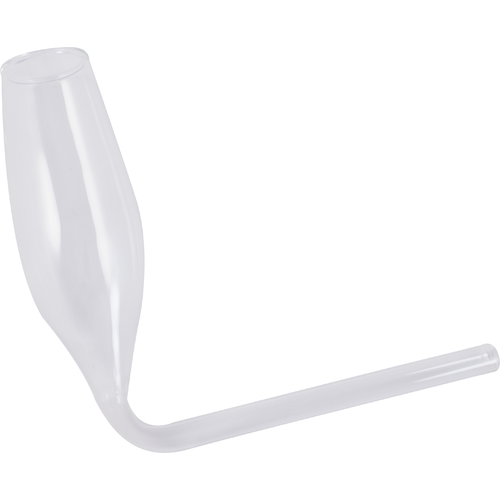 You let the confusion hang in the air while you pop the cork and fill up a Champagne Bong. You consume... rapidly of course, because it's a bong... and smile. Now they get it. Party on. 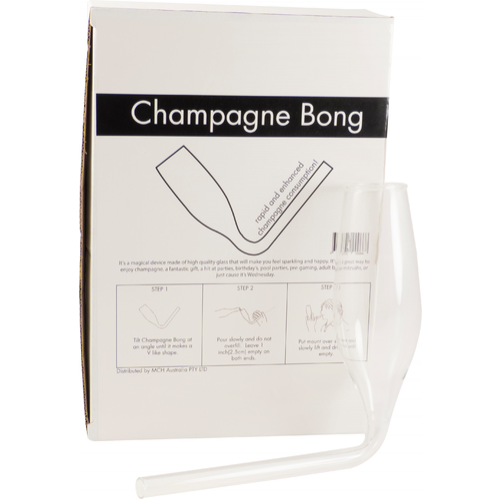 Welcome to The Champagne Bong for rapid and enhanced Champagne consumption. One glass per box in a labeled white carton with interior foam protection for shipment. I did not realize how much of the champagne's fizz would remain in suspension. Worked well with cold duck as well as the usual pale stuff.